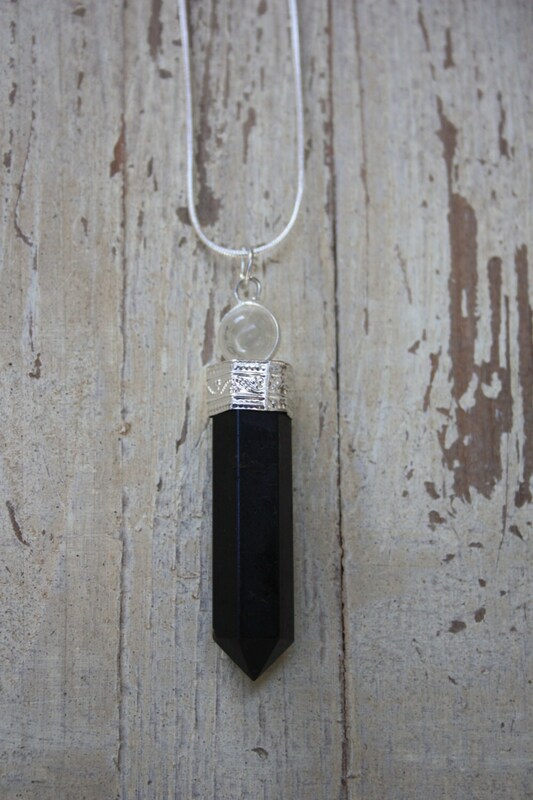 Healing crystal Black Onyx and Quartz dousing pendulum necklace on 925 sterling silver chain. 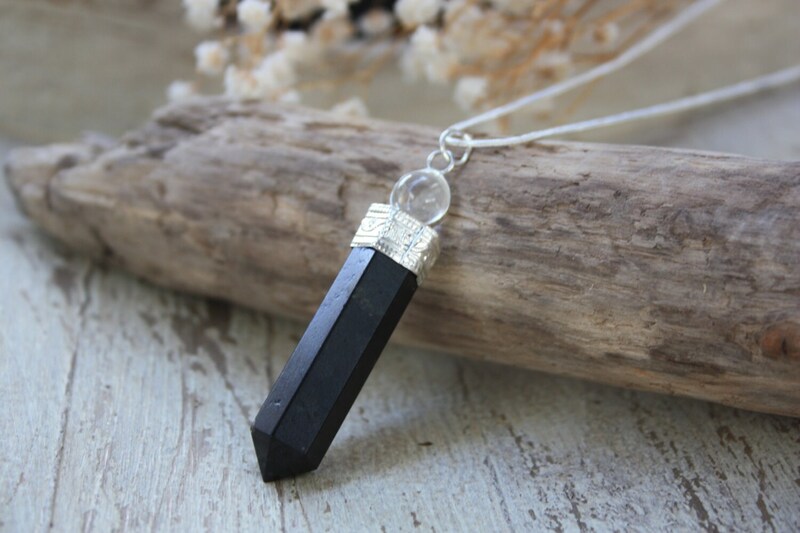 Onyx is linked to the base or root chakra and helps to stabilise and ground wearers. It prevents wearers from their energy draining and it helpful during times of stress. 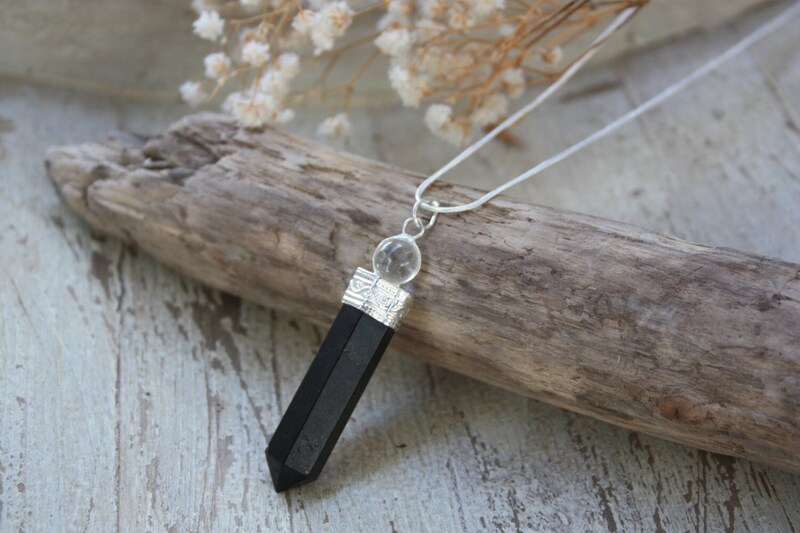 Quartz is an amplifying stone that absorbs and cleanses negative energies and amplifies positive energy. It is a power stone that is extremely helpful when manifesting and also meditating. 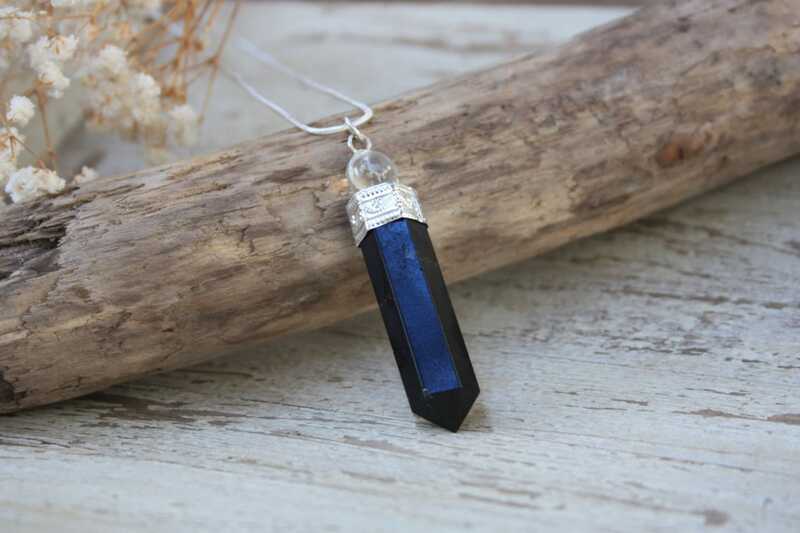 Pendulum dowsing can be used in a variety of different ways. -Healing purposes and identifying allergies. -To cleanse and dispel negativity in a room. All jewellery comes neatly packaged in a protective organza bag, making it perfect for storage and gift giving.